Personally, I'm concerned that some of the Pinterest kitchen trends I like are going to look dated in a few years. I like two-tone cabinets, but is that just a passing fad? Do other people care as much as I do about the back splash? What about appliances that aren't flush with the cabinets, like ours– is that a deal breaker for some people? So when Zillow reached out to me about collaborating for some content on this blog, I was really excited to get their advice on those questions that have been percolating in my head for a while. I specifically asked them if they could give their best tips on smart kitchen improvements because who would be better to weigh in on that than a powerhouse real estate company? Hit us with your best advice, Zillow! The kitchen is the heart of the home, and prospective homebuyers often view the kitchen as a make or break deal on a property. If the home needs some sprucing up to attract house hunters, a guaranteed draw is an upgraded kitchen. Consider these six simple and cost-effective kitchen upgrades to charm them into making an offer. Fluorescent bulbs create less appealing lighting which is also less energy efficient. The older style lighting has a tendency to date even the most modern kitchen. Install recessed lighting to brighten the atmosphere and provide ample, unobtrusive lighting. Further, install task lighting under upper cabinets to shed light directly on the kitchen counter workspace. More so than stainless steel surfaces, effective placement of appliances and counter space is the latest trend in modern kitchen design. As recipes spread across the internet like wildfire, people are spending more time in their kitchens preparing their own culinary masterpieces. While a chef-grade kitchen may be overkill, a smart configuration is definitely a good idea for all cooking skill levels. Have a large kitchen with no center island? Consider a mobile cart with wheel stoppers. Even the smallest additions, such as a rack for hanging pots and pans or a hidden cutting board, expand functionality and help homebuyers envision working and living in a new home. Linoleum floors buckling from water damage or peeling away at the base of walls are not going to impress shoppers looking for a new home. A great investment for the kitchen is hardwood flooring. Consider a high-quality surface protectant for inevitable wet messes and spills. Ceramic tile is more durable than hardwood and doesn’t scratch as easily, so it’s a good option for families with small children or pets. If real hardwood and ceramic tile falls outside of budget range, consider installing a laminate floor like Pergo to achieve the same look and longevity at a lower price. An open floor layout is important to many prospective homebuyers, especially on the first floor. Parents are better able to keep a close eye on their kids and couples can entertain guests more comfortably. Consider knocking down non-essential internal walls that block the kitchen off from living and dining spaces. Not only do upgrades create fluidity in the home, it also makes the kitchen appear larger. Even the newest kitchens can look out-of-date if paint is chipping from the cabinets. An easy do-it-yourself project of painting or refinishing kitchen cabinets gives older spaces a whole new feel. 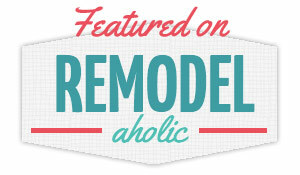 Cover up builders-grade oak or ‘50s-style pink paint before putting the house on the market. Consider classic colors such as white or beige rather than a trendy shiny black lacquer. 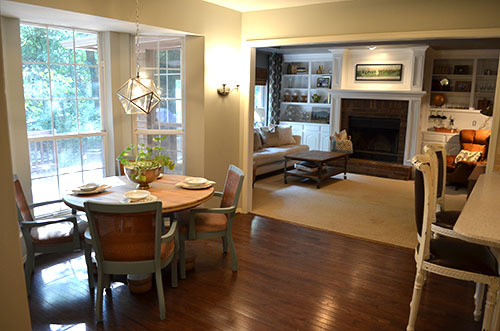 Neutral matte colors tend to stand the test of time and collaborate well with most home styles. House hunters today expect high-end finishes throughout homes – especially when it comes to kitchen countertops. This may scare some homeowners into thinking they have to splurge on high-end slabs in order to get their homes noticed. 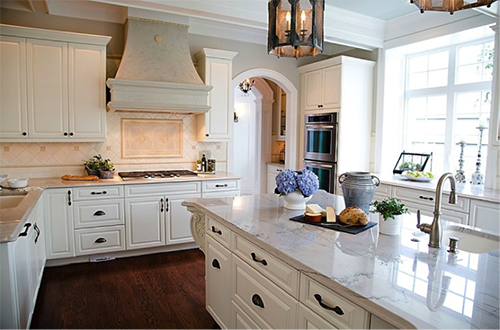 However, there are many reasonable alternatives to granite just as striking, such as Carrara marble. Although marble is only slightly less expensive, its sleek, classic design exudes luxury. More durable and cost-effective options include engineered quartz and soapstone. Avoid trendy alternatives such as concrete and stainless steel, as their unique style doesn’t appeal to the masses. Don’t let a dated, lackluster kitchen turn off otherwise eager shoppers. Use these six steps to encourage interested buyers as soon as the house hits the market. So now that I've read what they have to say, I'm thinking about what we can do in our kitchen. We haven't done much to it since we moved in except for painting the mustard yellow walls grey. That was a massive improvement, but I'm itching to make some more upgrades that will make it feel more like "us." We also switched out the white appliances for stainless steel, so that looks better now. I guess I never took photos of it? Oops! And one of the things we have done that agrees with Zillow's advice is upgrade the lighting. The husband installed a large white ceiling fan with lights to replace the ceiling fan (without lights) that was there before. He switched out the pot lights for these new LED recessed lights from Home Depot, and those additions really brighten up the space. For the next step, I think we are going to focus on refinishing our cabinets. The off-white color isn't bad, but the quality of the paint job is really, really poor. It's chipping in certain places, and the inside of the cabinet doors look pretty terrible. Plus I think I'd prefer a crisp white color like our den built-ins since the room opens up into the den. I want to thank Zillow for weighing in on this topic right before we begin our kitchen projects. I'm grateful for the advice from a company whose website I used constantly when we were house hunting a year ago. We all need to be smart with our costly improvements (and we all know the kitchen can be VERY costly), so these tips are hugely helpful! Is anyone else taking on a kitchen makeover/upgrade/refresh anytime soon?